CONGRATULATIONS! WE ARE PLEASED TO INFORM YOU OF THE RESULT OF THE JUST CONCLUDED ANNUAL FINAL DRAWS OF BANK GIRO LOTERIJ WINNERS INTERNATIONAL PROGRAMS.THE ONLINE CYBER LOTTO DRAWS WAS CONDUCTED FROM AN EXCLUSIVE LIST OF OVER 20MILLION INDIVIDUAL EMAIL ADDRESSES, WHICH WERE PICKED BY AN ADVANCED AUTOMATED RANDOM COMPUTER SYSTEM. 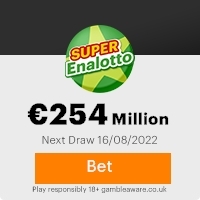 YOU WERE THEREFORE, SELECTED AS THE PRIZE WINNER OF THE SUM OF EUR.250,000 (TWO HUNDRED AND FIFITY THOUSAND EURO) BY THE BANK GIRO LOTTERY AND GAMING CORPORATION. THE WINNING EMAIL ADDRESS WAS SELECTED FROM A DATA BASE OF INTERNET E-MAIL USERS AND ADDRESSES, FROM WHICH YOUR E-MAIL ADDRESS CAME OUT AS THE WINNING COUPON. This Email with the Subject "FROM: MR. ERIK VAN PERSIE" was received in one of Scamdex's honeypot email accounts on Sat, 10 Feb 2007 00:57:33 -0800 and has been classified as a Generic Scam Email. The sender shows as unique@uniqueagency.orangehome.co.uk, although that address was probably spoofed. We recommend that you do not attempt to contact any persons or organizations referenced in this email, as you may expose yourself to scammers and, at the very least, you will be added to their email address lists for spam purposes.